Are you craving an R/C truck that blends performance and aggressive styling with a sub-$300 price tag? 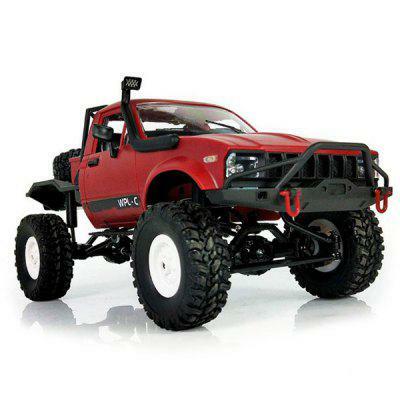 If you answered yes, then the Titan-powered Traxxas Rustler 4×4 might be worth parking in your R/C garage. This identical twin to the brushless-powered Rustler 4×4 VXL brings with it the same styling and chassis design, but with a 12-turn Traxxas Titan brushed motor. While the motor tech is on the traditional side, the rest of this truck is packed with plenty of forward-thinking features. Clipless body mounts, waterproof electronics, and a 2.4GHz radio system are some of the main components that you’ll find under the lid of this 1/10-scale stadium truck. No matter where you drive or bash, this truck should weather the elements with ease. The Rustler 4×4 rides on 2.8″ “Talon” tires and is available in two body colors (blue/black and red/black). The Traxxas Rustler 4×4 is priced a t$279.99 and is available online and through your local Traxxas dealer. Visit traxxas.com to learn more about this new Rustler model.